Hollywood is a neighborhood in the central region of Los Angeles, California. This densely populated neighborhood is notable as the home of the U.S. film industry, including several of its historic studios, and its name has come to be a shorthand reference for the industry and the people associated with it. If you’re planning a trip to Hollywood, let Via Trailways help you get there! We want your trip to be as stress-free as possible so you can focus on having a relaxing and fun-filled time. You don’t worry about traffic, having to find a spot to park your car or paying to park in an expensive garage. 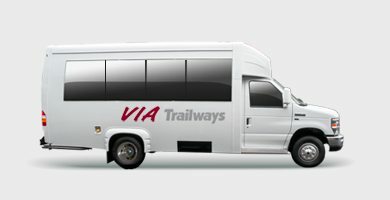 When travelling with Via you’ll be able to relax in one of our comfortable, secure charter buses after a long day of sightseeing. Enjoy breath-taking views of the nightlife in Hollywood and the cosmos above at Griffith Observatory. Experience your next concert at The Hollywood Bowl. Find your next read or original movie poster at the legendary Larry Edmunds Bookshop.